Nowadays people mostly think about improving their business and forget about nature and environment that are surrounding us. But it is a pleasure, when you can make something good to save our environment. You have probably noticed that more and more enterprises stopped sending paper bills, but send you an electronic instead. You can do the same by choosing invoicing software. It will improve your business and take care of the environment. Have you thought about how much paper do you use when sending paper bills? You need paper to print your invoice and envelope to send it. It is still ok if you send 10 invoices per month. But imagine how much paper is spent for 500 invoices monthly. And not always this paper is being recycled afterwards. Using invoicing software is easier and “healthy” for the environment. Invoicing software also reduces your costs, because you don’t have to use post service to send an invoice. Besides that, sending invoices via e-mail is much faster than doing the same via post. As you see, invoicing software brings you a lot of advantages. 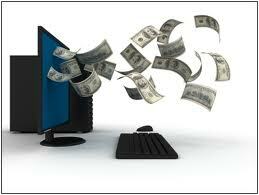 Usually you need to pay monthly payment for using the invoicing software. But still it is cheaper than post service and takes less time to invoice your customers. If you have some problems with invoicing software, support team will always help you. Maybe you need some special features, then it is possible to contact support team and discuss it with them. The keywords for invoicing software are “easy” and “fast”. You will be surprised, how you can save time on invoicing and spend it to develop your business.